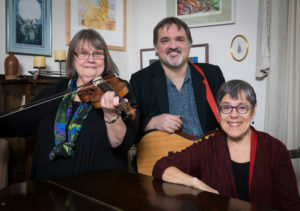 3 Ravens (Donna Hébert, Max Cohen, Lui Collins) play the Blackstone River Theatre in Cumberland RI on Saturday, April 6. A Blackstone regular, Donna looks forward to returning with this exciting new trio. Listen to 3 Ravens online.